It is that time of year to start analyzing baseball and preparing for 2019 fantasy baseball drafts. Mother Nature must be itching for baseball too, judging by the 60 degree weather we had on the east coast this weekend. In any event, my first article of the pre-season and of the year is looking back on the second baseman that perhaps helped you win, or lose, your 2018 fantasy seasons. Hopefully, this retrospective analysis can help you avoid the busts for 2019 and find the hidden gems to give your team a huge boost. This time last year, Schoop was 26 years old and coming off a career season in which he hit .293 with 32 home runs, 105 RBI, and 92 runs scored. He was good enough to make it into my booms and busts article from last year as a boom. If you read that article, you would have avoided drafting Schoop, who went at an ADP of 64 last year. The red flags were there, namely the poor walk rate of just 5.2%, the K-rate of 21.0%, and the below average contact rate of 73.6%. If you were one of the unfortunate ones who did end up drafting Schoop, you were left with a sour taste in your mouth. His batting average plummeted 60 points to .233 and with a 3.8% walk rate Schoop’s on-base percentage plummeted similarly, all the way down to .266. To make matters worse, the power dried up, though Schoop still managed 21 home runs. After being drafted as the 4th second baseman off the board, Schoop is now projected to be the 24th by early ADP numbers, with an ADP around 207. The lesson learned here is be wary of players with poor plate discipline. If the batter doesn’t walk, pitchers have no reason to give them anything to hit, and a decrease in hits means a decrease in stats across the board. In the off-season, Schoop signed a 1-year deal with the Twins to re-establish himself. While Target field is not known for being a hitters park, it is fairly friendly to right-handed batters. At age 27, Schoop is a good bet to bounce back in 2019 and could provide some value late in drafts, though I don’t expect a .293 batting average anytime soon. I was high on Dozier entering 2018 as a reliable source of power and speed, as well as a batting average that won’t kill you. He had just come off a 2017 of 34 HR, 16 SB, and .271 BA, and a 2016 of 42 HR, 18 SB, and a .268 average. Not to mention he had huge second halves in both seasons. Dozier hit 21 and 28 home runs in the second half of 2017 and 2016, respectively. I thought I could ride one of those hot streaks to a fantasy championship, but in 2018 it never came. Dozier hit just 5 home runs and batted .187 after the All-Star break, most of which came after Dozier was traded to the Dodgers. Looking back, I wonder if the trade played a role in Dozier’s poor second half, as he would have had to figure out a new league of pitchers. Looking deeper, there is really nothing that stands out in Dozier’s profile as to why he had a down year. BB%, K%, Contact %, Hard%, FB% are all consistent and in line with his recent and successful seasons. The BABIP dipped to a career low .240, but could it all be bad luck? The only thing that jumps out at me is Dozier’s success against the fastball. In 2017 and 2016, Dozier posted 19.0 and 15.0 wins above average against the four-seam fastball (wFA). In 2018 he posted a -2.3, weighed down by a -4.2 wFA in his 47 games with the Dodgers. I can’t imagine his bat slowing down that much that fast, so I am inclined to give Dozier a second chance in 2019. Dozier is being drafted at an ADP of 160, and that looks for a player with 30 HR / 15 SB potential that is a bargain. Gordon stole 30 bases in 2018. Pretty good on the surface, but if you drafted him last year you were banking on at least 50, along with solid output in batting average and runs since you knew you were not getting much power or RBI from Gordon. Aside from the less than expected steals, Gordon batted .268 and scored just 62 runs in 141 games. Weak return for the presumably high price you paid to get him, especially if you were relying on Gordon to give you the edge in SBs. So, what caused the down year? Signs point to injuries. Gordon broke a toe in May that resulted in a DL stint. Then, on August 3rd, Dee rolled an ankle. While the ankle didn’t cause a DL stint, Gordon only stole 4 bases after the injury. I tried to avoid selecting players who had down years due to injury because they are unpredictable, however I included Gordon on the bust list to highlight the added risk of drafting players who are 1 category studs like Gordon. If you drafted him, it likely impacted how you built your team the rest of the draft. With the stolen base category addressed, perhaps you opted for big power bats to offset the lack of pop from Gordon, rather than drafting more well-rounded 20 HR/20 SB type players. Well, when your stolen base stud is a stud no longer, you may feel the impact more due to the lack of balance on your team. Just food for thought as we enter draft season. 2018 was by all accounts a career year for Baez. He put up 34 HR, 101 R, 111 RBI, 21 SB and a .290 average, all career highs for the 26-year-old. If you drafted him last year, you made out like a bandit. The price to draft Baez in 2019 will be much higher, as his ADP is currently around pick 16. A steep price to pay and I would suggest avoiding Baez at that cost. The big red flag is a 4.5% walk rate, but I also don’t like Baez’s 68% contact rate or his 25.9% strikeout rate. That tells me Baez’s .290 batting average is not sustainable, and likely to regress toward his career average of .267. If the average drops, so will the other counting stats due to Baez’s inability to get on base via the walk. I view Baez similarly to how I viewed Jonathan Schoop last season, a player with poor plate discipline that will eventually catch up with him. While the power and speed are both legitimate pieces to Baez’s game, don’t pay for 34/21 HR/SB and a .290 average when the output is going to be closer to 25/15/.267. You can find similar output for much cheaper later in your draft. I’ve been drafting Matt Carpenter the last three seasons due to his great walk rate, which hovers around 15%, a hard-hit rate of around 40%, and 1B/2B/3B position eligibility. I saw Carp as a versatile high-floor player with power upside, and in 2018 was proven right when the power upside finally came to fruition as Carpenter slugged 36 dingers. Perhaps part of the outbreak was that Carpenter was healthy after battling a shoulder issue in 2017. Heading into 2019 my outlook hasn’t changed much for the 33-year-old Carpenter; however, the draft day price has increased dramatically. Carpenter’s 2019 ADP is in the mid-60s, up almost 100 slots from 2018. At that price, there is not a ton of upside in drafting Carpenter, but you still get a solid floor and a St. Louis line up that has improved in the offseason with the addition of Paul Goldschmidt. I think Carpenter is a safe play for 2019, but not a player I am specifically targeting. Mondesi was largely undrafted in 2018. He played just 75 games and was a free agent pick up for most. For the managers who did grab Mondesi, he helped propel many fantasy teams into the playoffs with 14 home runs and 32 stolen bases in his limited time. There is no doubt the speed is for real, and 40+ steals are a reasonable expectation for the 23-year-old. The power I’m not so sure of. Mondesi did have a 43.1% hard hit rate last year, along with a 37.6% fly ball rate, which both support 20+ home run power, but this is a small sample size we are talking about here and it’s fueled by a scorching hot Sept/Oct that accounted for 8 of Mondesi’s home runs and 14 steals. I also have serious concerns with Mondesi’s sub-par contact rate of 67% and an equally bad walk rate of 4%. After batting below .200 in two small cups of coffee in 2016 and 2017, I need to see more from Mondesi before I am convinced he won’t be a batting average drain on my line ups. He is a high risk, high reward player going at an ADP of 63. The fan in me is excited for the potential, but the cold-hearted fantasy GM says to pass. While I am out on Mondesi this year, Mondesi does highlight the type of hot streak you can ride with a waiver wire pickup. Every year there are numerous players at different position who can provide a massive boost to your line up. It’s one of the things that makes fantasy baseball fun and unpredictable. Draft preparation is a time for research and investigation, but in the heat of summer, sometimes it is best to not ask questions and ride the hot streak while you can. That’s all for this week. I will be back next week with my first of two articles breaking down the second base rankings for 2019. 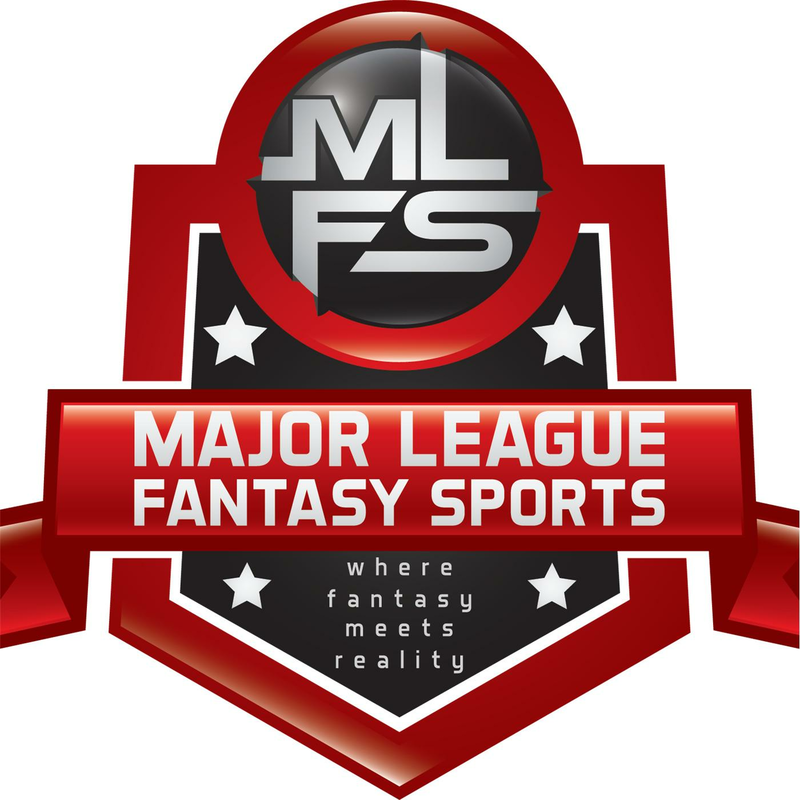 Major League Fantasy Baseball Radio Show: Join Corey D Roberts, EJ Garr, and Kyle Amore on Thursday February 7th, 2019 from 9pm – 10:45pm EST for the Major League Fantasy Baseball Radio Show. Call in number is 323-870-4395. Press 1 to speak with the host. This is our kick off show for the 2019 fantasy baseball season. For the next three weeks we will be breaking down the American League divisions. Our Sunday night show which runs from 8pm – 9:30pm EST will handle the National League starting Sunday February 10th. You can listen live on blogtalk, majorleaguefantasysports.com, or download the podcast on I-Tunes or any Android podcast app. Our topic for tonight will be the American League East.